The Sawtooth Heritage Series is a modern day classic. Sleekly contoured for comfort and style, the Sawtooth Heritage Series pays tribute to an American classic. Vintage inspired neck profile with a mahogany body and flame maple top. The perfect blend of vintage tone and modern playability. The Sawtooth Heritage Series is a modern day classic. Sleekly contoured for comfort and style, the Sawtooth Heritage Series pays tribute to an American classic. Vintage inspired neck profile with a mahogany body and flame maple top. The perfect blend of vintage tone and modern playability. Available in right handed configurations. Big, bold and righteous, the G2420 Streamliner Single Cutaway Hollow Body is designed for the modern guitarist who yearns for something beyond the norm. 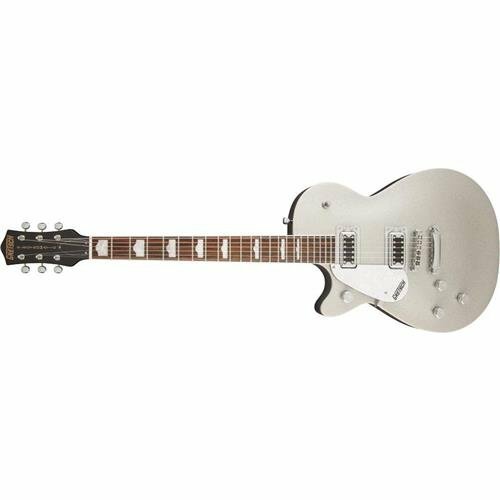 A commanding guitar for powerful players, the G2420's modern sonics, updated electronics and authentically elegant style create the latest iteration of That Great Gretsch Sound! SA Series SA160 Quilted Maple Top Electric Guitar Sapphire Blue. The SA160QM features a Quilted Maple top and Rosewood fretboard with white dot inlays and jumbo frets. Lurking beneath its graceful 3-D shape is select mahogany, chosen specifically for SA Series instruments...light enough for amazing comfort, dense enough to provide the tone and sustain that players expect from the SA-Series. As originators of the thin, fast neck, the SA neck design carries on this Ibanez principle, providing playing comfort that translates into responsiveness and speed. SSH pickup configuration with 5-way pickup selector provides an impressive palette of tone textures, while the SAT Pro II tremolo bridge enables limitless full-tilt expression. Case sold separately. Beautiful quilted maple top Art core with compact semi-hollow style. 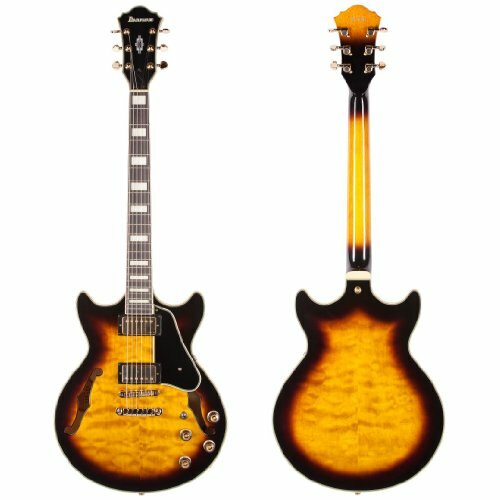 This Art core Expressionist AM93 semi-hollow body guitar uses Custom 58 pickups combined with an arched quilted maple top, back, and sides to produce a warm and quick response. 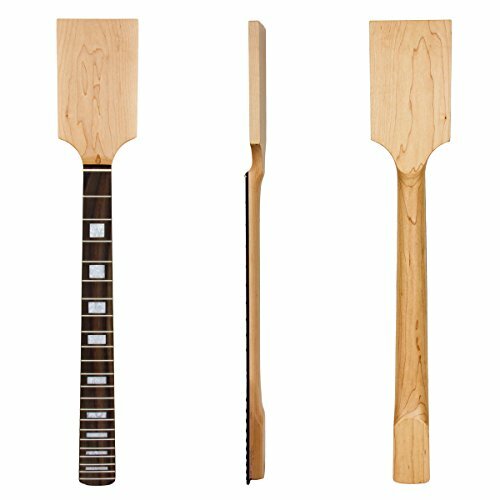 The slim and compact 3-piece Art core set-in neck is made from mahogany and maple. 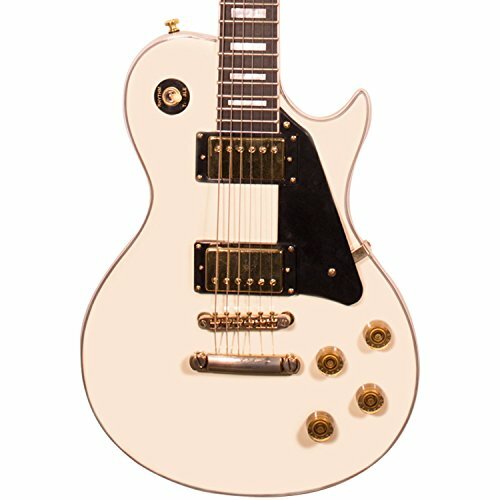 The bound rosewood fret board with 22 large frets, bound top, and gold hardware offers lush looks accented by white block inlays and multiple binding. The ART1 bridge provides accurate rock-solid intonation while the Quick Change III makes string changing easy. 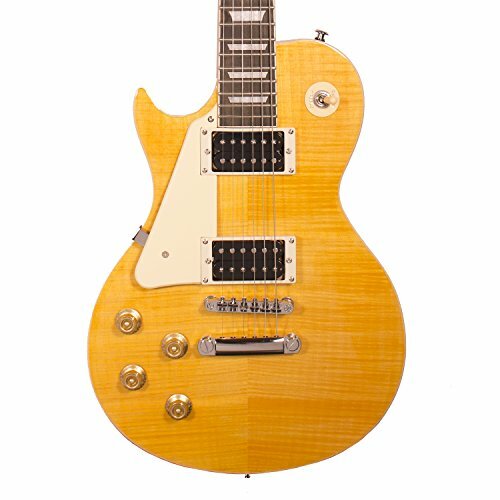 Features 3-piece mahogany/maple set-in neck Quilted maple top, back, and sides White block fret board inlays Bound top and fret board 22 frets ART1 bridge and Quick Change III tailpiece Custom 58 pickups Gold hardware Case sold separately. 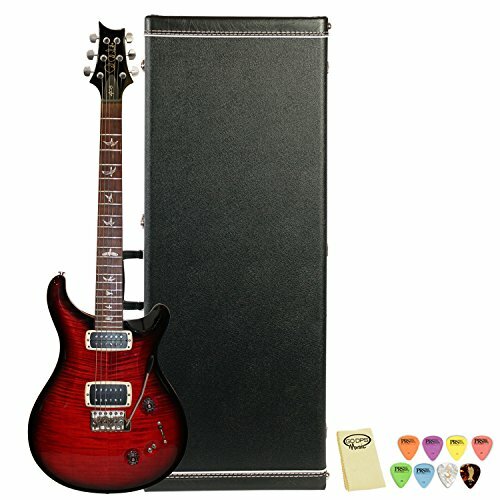 PRS is proud to offer a new voice with the 408 Maple Top. This inspiring new instrument brings the versatility and voicing of the Private Stock Signature and the Signature Limited Edition to PRS's Core line. PRS 408 pickups were designed to extend the guitar's tonal spectrum by narrowing the field of the bass pickup to increase its focus and widening the field of the treble pickup to increase its sound field (hence their asymmetric appearance). This pickup configuration (comprised of four coils and offering eight sounds) stems back to Paul's experimentation on the Sorcerer's Apprentice guitars in the early 1980's. 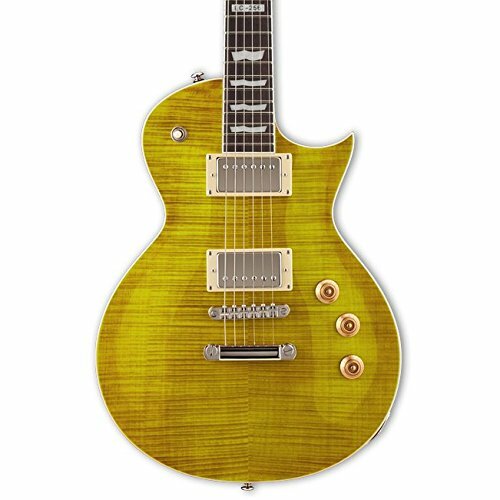 Thanks to the simple but versatile switching system featuring mini-toggle switches that provide numerous combinations of hum bucking and single coil tones, the 408 Maple Top provides stunning articulation and musical clarity.